Our team is comprised of passionate and dedicated individuals that are determined to give you the best possible customer experience. 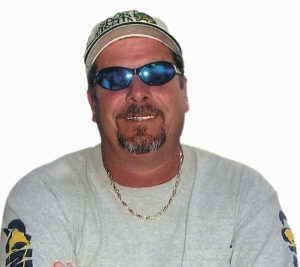 Captain Tony Ross is a seasoned Broker Manager with 20+ years in the boating business. Captain Tony’s experience includes new and pre-owned boat sales, boat building in the Carolina’s, tournament fishing, and an owner of a Sportfishing Charter service. While he has a vast knowledge of yachts up to 85 feet, his experience with tournament and deep sea charter fishing gives him an edge in understanding the fishing-customer boat needs. He is a non-pressure broker whose philosophy is to put the customer in the right boat for them at the right time. He takes pride in providing a high level of service that continues after a buyer takes possession of their boat. Captain Tony Ross has a United States Coast Guard 100 ton Masters license and can provide in water boat deliveries. Denise Weber is the Administrator for Sailfish Marine Sales. She is a retired Air Force Master Sergeant who managed an aircraft maintenance training program during her tenure. After that, she moved to the Sunshine state and continued to work in professions that utilized her extensive knowledge in administrative practices and enhanced computer skills. She handles the financial, marketing, and administrative business sides of Sailfish Marine. Captain Howard Poe, or “Capt. HAP”, has had a lifetime of recreational and professional boating, hunting, and fishing. At twenty-seven, Poe purchased his first boat and joined the Southern Kingfish Association, or SKA. Capt. HAP won three tournaments in 1996 including the SKA National Championship, and brought home an excess of one hundred thousand in prize money that year for his hard work. Poe spent the next fifteen years competitively fishing the SKA Pro Tour. His team: “Kill-n-me” earned several top-ten finishes along the way and won second place in the SKA National Championship in 2006. Capt. HAP’s passion and enthusiasm for offshore fishing fuels the knowledge and experience he brings to the table.